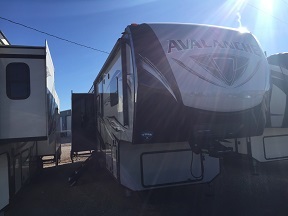 This awesome fifth wheel is perfect for people who like to take extended vacations or who possibly might want to go full time in a RV. 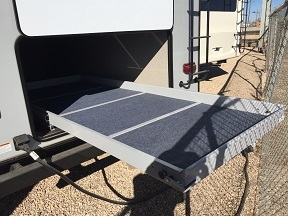 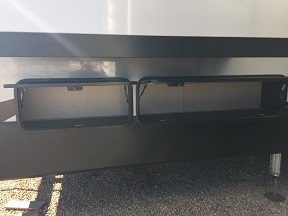 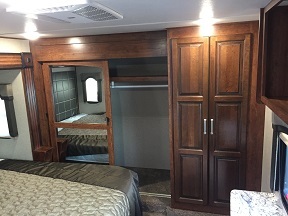 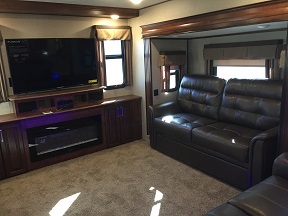 Outside, there is a massive storage compartment under the rear living area that has a slide out storage tray for all of your extra camping items. 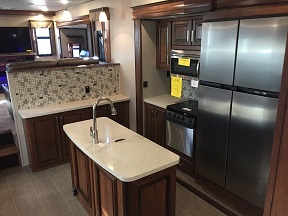 This unit has 5 slideouts and has a ton of storage on the insdie as well as an awesome kitchen with a huge pantry and 18 cubic foot refrigerator! 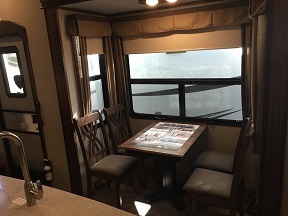 Setup is a breeze with 6 point auto leveling and hydraulic slides! 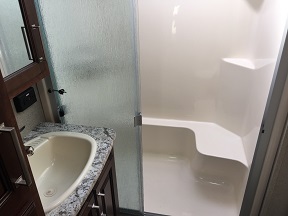 Upstairs, you will find a huge bedroom and bathroom area with plenty of storage. 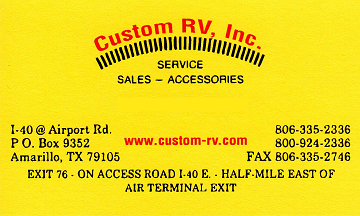 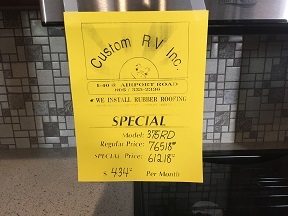 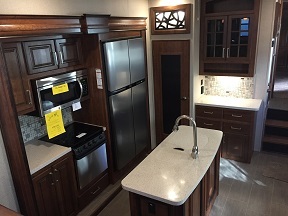 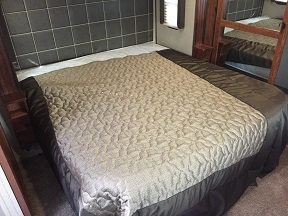 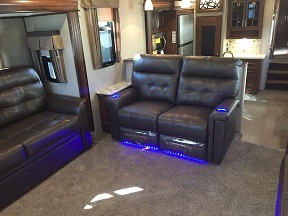 Come see this beautiful fifth wheel today!